The Neurodyn Aussie Sport is used for applying an electrical current through electrodes in direct contact with the patient. 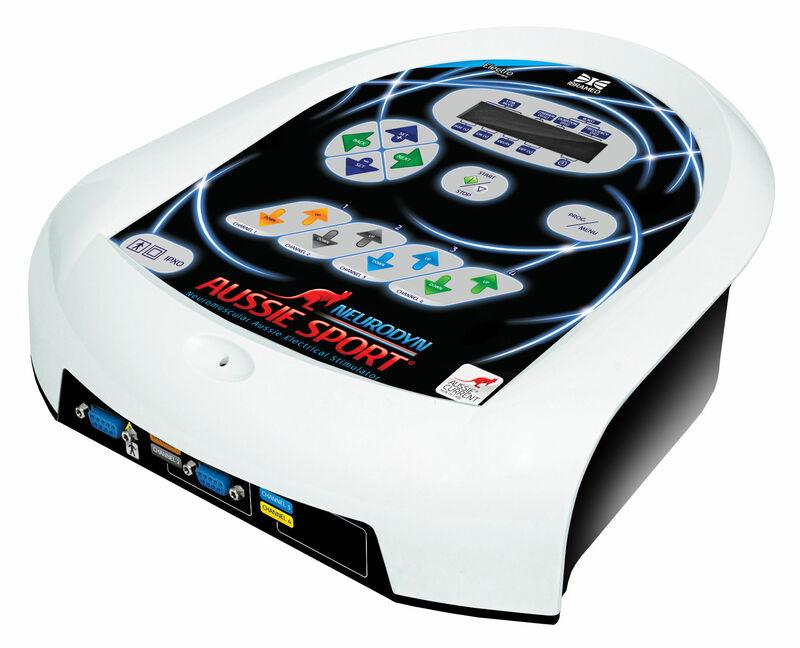 The transcutaneous neuromuscular stimulater uses a microcomputer technology that is controlled with a computer. The current is emits is the Aussie Current, or Australian current, which is a new generation of electrical current. It holds several advantages to traditional stimulation methods. The technique is minimally invasive and non-addictive. It has no systemic effects and no undesirable side effects. The current intensity needed is depended on the dysfunction being treated and the patient's threshold for pain. Treatment should start with minimum levels of intensity, and be carefully increased until it becomes effective for the patient. 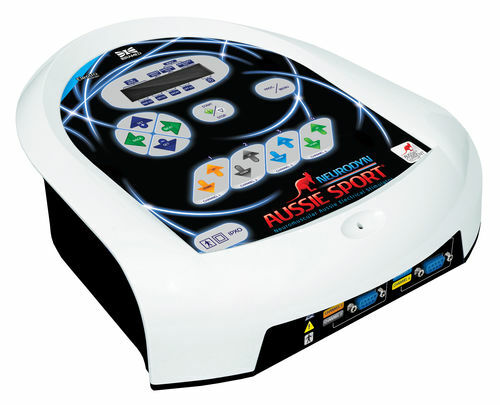 The patient will feel a tingling sensation in the areas between the electrodes when undergoing electrical stimulation. The waveform of this device is more comfortable than others, which means it will be more pleasurable to more patients.